3 Doors Down rocked LEWITT’s home city of Vienna, Austria as part of their ongoing European tour and celebrated their highly anticipated new record Us And The Night together with their fans. The show started with a black curtain lifting from the front of the stage to reveal a screen with animated bare trees and a cluster of large hanging lanterns. Bursts of fog, flashing lights, and the band’s music videos rounded out what was the epitome of a powerful rock show. The band's first studio album, The Better Life, was released in 2000 and peaked at number seven on the Billboard 200. And the singles "Kryptonite," "Loser," and "Duck and Run" all reached number one on the mainstream rock charts. Since recording their last full-length album Time Of My Life, the band has added bassist Justin Biltonen and guitarist Chet Roberts. We had the pleasure of talking with Chet about life on tour, their work on recording the new album, and their experiences with LEWITT microphones. [LEWITT] How’s the tour going? [Chet Roberts] It’s been awesome! It’s the best European tour I’ve been on so far, and it’s my third or fourth time over here. It’s been more laid back, since the scheduling isn’t as hectic as it’s been in the past, so I’ve been able to meet some old friends whom I haven’t seen in a while. We were hanging around in Germany and Austria a bit longer this time – this is my favorite region in Europe. One thing I like about this region is the attention to detail, and that’s also one of the things I like about the LEWITT microphones. We’ve been rocking the shows, and our set design is awesome – we brought it from the US tour this summer. When we came over here, we had a bit of time to recover from the jet lag and knock the dust off of everything. So this tour has been a joy, also because of the good people we’ve got along and the really cool openers we’ve had. 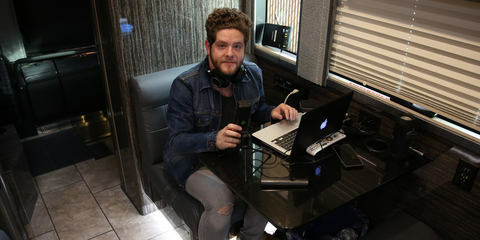 [LEWITT] You’re using the DGT 650 on tour as part of your mobile recording setup. Can you tell us a bit about your experiences with the microphone? [Chet Roberts] I’m loving the DGT 650, because you’ve got the option to record in stereo or in mono, and you can use it as an interface … it’s coming very handy. I use it with my guitar, but it’s also great for vocals. I’ve also been playing with it on my iPhone, and I’ve done some field recording with it – I like to record ambient stuff like just walking around here – so it’s very cool! [LEWITT] What mics are you using live on stage? 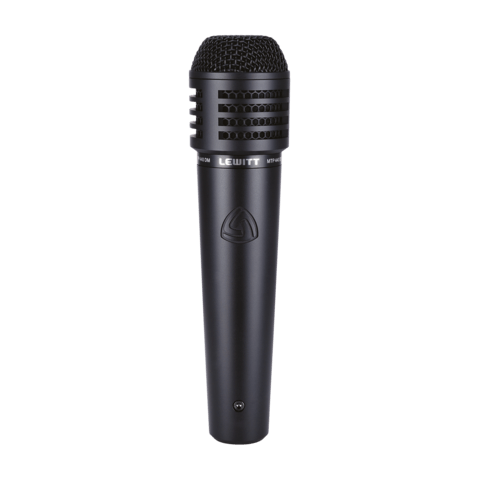 [Chet Roberts] The MTP 550 DM is the vocal mic I have up there – it replaced a Telefunken. I’ve been using the MTP 550 DM onstage for a while, now. 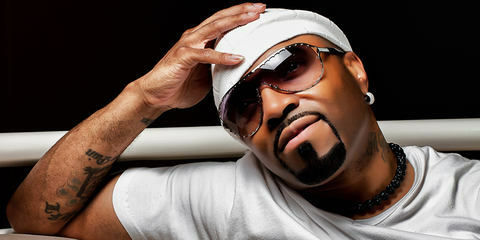 I like its response, and it gives my vocals a clear presence – I can hear the highs and lows in my voice. It’s a bit tighter than the Telefunken, which helps in a live stage situation where you’re trying not to capture those drum sounds. I have no feedback issues at all, it’s a quiet mic, and it sounds really good. It’s got those qualities where you can kind of dig into it, or you can step away and it’ll still capture everything without feeding back. It’s a really good vocal mic, and I’m very pleased with it. As an engineer, what you want is something like a go-to microphone where all you need is to plug it in and it’s already doing what you want it to do – without having to adjust stuff on your preamp or computer. 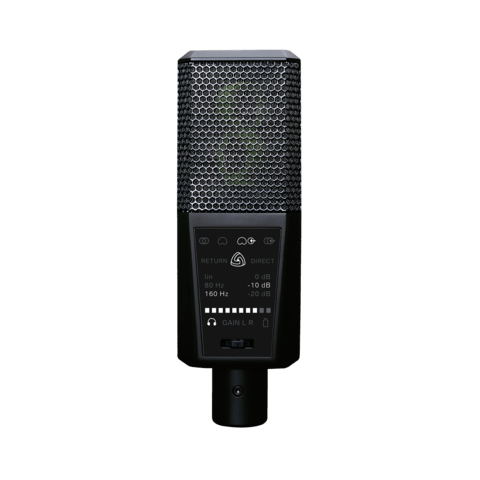 Actually, my audio guys came up and said that we need a new snare mic, and I told them, “If you’re looking for a new snare mic, there’s the MTP 440 DM” – and we put it on there and have been using it ever since. 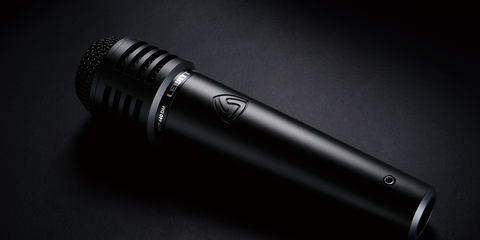 It replaced the SM57, and our sound engineer said that it has more attack and that he liked it. I’m using the MTP 440 DM in the studio, since I’m not a live engineer, and I really like it there, too. [LEWITT] What other microphones are you using in the studio? [Chet Roberts] My go-to microphone there is the LCT 640. I’ve been using it for two years now, and I do lots of projects in the studio. 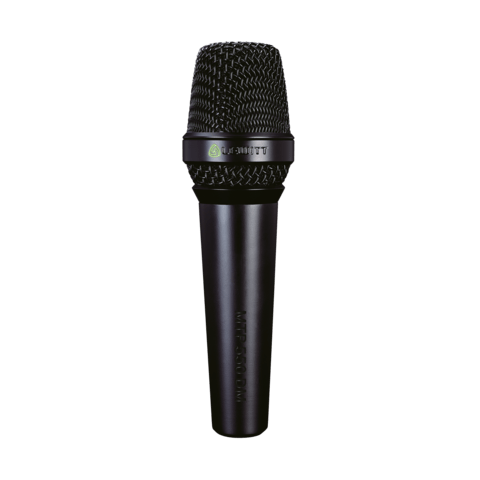 When it comes to the vocal parts, you have to choose the right mic – because different vocalists have different qualities to their voices, and some microphones tend to kind of lend themselves to a particular vocal timbre or type of song. So I always do a blind microphone shootout and set up around 4 mics. The singers then have to sing the verse and the chorus, and I just listen blind to hear which mic sounds better. And every time, except where I had a loud aggressive screaming vocal – in that case I used a dynamic, it’s been the LCT 640 and the LCT 550 that’s stood out against the other microphones. 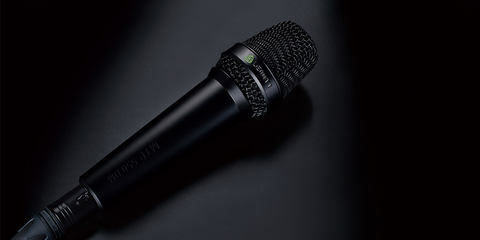 [LEWITT] You said you do blind microphone shoot-outs – so what sound are you looking for in a microphone? [Chet Roberts] I’m looking for clarity and presence, but with a smoothness to it. I don’t want it to be kind of attenuating a certain rough frequency – like something that’s biting in your ears. 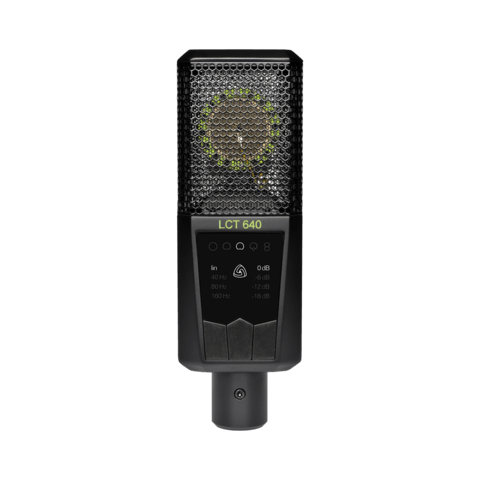 I think the frequency response of the LCT 640 is just perfect, and it’s become my go-to microphone in the studio. It’s the top dog and the one that made me fall in love with LEWITT. [LEWITT] Have you also tested the LCT 640 on applications other than vocals? [Chet Roberts] I mainly use the LCT 640 on vocals, but I’ve also got a matched pair of the LCT 550’s. Those are the quietest microphones I’ve got, and I use them on the acoustic guitar, which I usually record in XY since I want to capture all the instrument’s little nuances, the highs and lows. But I also use it for drums, as room mic, and record in AB or XY as well. [LEWITT] What’s the difference between the LCT 550 and the LCT 640? [Chet Roberts] First of all, they are both great versatile microphones. What I like about the LCT 640 is that it has multiple polar patterns - I like having those additional options; whereas the LCT 550 is just cardioid but it is incredibly quiet with 0db self-noise. Any 2 are a matched pair and that allows me to use 2 and not have to worry about phase. 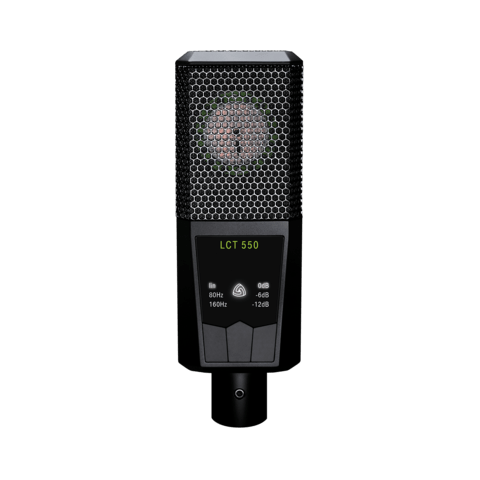 If we’re doing background vocals, I sometimes put the LCT 640 in figure-8 mode, so that we can sing together and face each other. I know most engineers frown about 2 vocalists singing into the same track, but I can always get a better performance this way and that undefinable magic is much more important. I also pair that LCT640 in figure-8 sideways and the LCT 550 in the middle to capture the room ambience which I can then blend in post. [LEWITT] Listening to you, we get the impression that you’re one of those guys who want to get things just right at the earliest possible point in the recording process, rather than in postproduction – are we right on that? [Chet Roberts] Absolutely! That’s the name of the game when it comes to recording. You start with the best possible source you can, and everything from there on out will continue to get better. I always have a vision of what a song is going to be, but you have to kind of direct it into a certain way – almost like raising a child. And then you step back and let it be its own thing. You know, you have to constantly listen to a song and see what it needs, and then you have your tools to supply what it needs like choosing the right microphone. You have to find the right way to use that microphone. It’s a cool process; I love doing what I do! [LEWITT] Do you view the microphone and the other gear just as tools, or can they help inspire you? [Chet Roberts] Any piece of gear can be a source of inspiration. A different instrument in my hands can change the way I write or the way I approach that part of a song. I play guitar, piano and a little bit of bass – I mean, I play whatever I can get my hands on. So any kind of gear can definitely influence things. And if you’re in the studio with some artists and what they’re hearing on their headphones doesn’t sound good, it will influence the way they deliver. 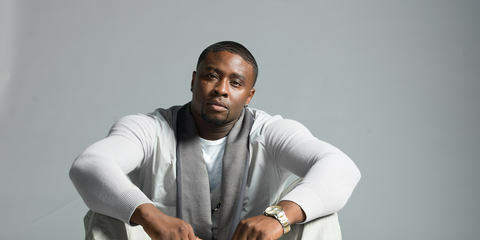 But if it sounds good at an early stage of the process – like when you’re still tracking and haven’t even mixed or mastered yet, and if you can make it sound as good as possible right in there – then you can pull more emotion and more vibe out of those vocals or instruments that you’re recording. 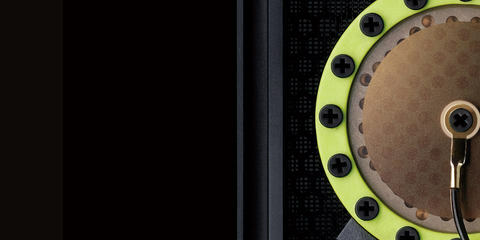 [LEWITT] Let’s go back to the vocals: What’s your recording chain? [Chet Roberts] We’ve got a collection of preamps in our studio. We’ve got some Neve channel strips, and I’ve got a Great River preamp – it has qualities similar to a Neve, and that’s usually where I run my LEWITTs through. After that comes a LA 2A compressor, but I do just a little bit of compression – I like to keep the dynamics. It’s pretty simple, but it works for me every time. [LEWITT] Tell us a bit about the recording process for the new album Us And The Night. How deeply have you been involved? [Chet Roberts] We recorded the new album at Blackbird Studios, but we didn’t do the entire recording there; we also did some overdubs and stuff like that at Rivergate Studios, which is where I use the LEWITT's and everything. But as far as trying to find the right sounds for the album and stuff, we just tried to write as a band – and we literally met for month to get things together on a regular basis. We were writing the songs and just kind of threw ideas out there to see what stuck, and we had the producer Matt Wallace come in, and he threw in his ideas and we mixed it all up. It is a fun process, because you never know what’s coming out – but you’re usually in good hands when you have a product that you can be proud of, which we are. [LEWITT] How important is social media for being successful as an artist these days? [LEWITT] Doesn’t that sometimes get weird for you, if there’s no private Chet left? [Chet Roberts] Maybe there is a bit of a risk that it could get weird, but usually the person you’re talking with doesn’t make it weird; the majority of our fans don’t do that. They respect the fact that we share all that personal stuff, and they usually don’t cross the line – though there’s always that potential. But, these days, who isn’t out there in social media? Everybody knows all your stuff is out there unless you’re totally off the grid. Some people do that, and that’s their choice, but we encourage sharing. It’s part of the phenomenon of being a band. We like interacting with our fans and think it’s important. We actually encourage it at our shows and tell our fans: “Please take photos of the show, and please post them and use #3DoorsDown,” because we want so see it from their perspective. And we do see it after the show, when the whole band goes on Instagram to look for great pics. Sometimes we comment on the pics just to say thanks for the great shot, and something as small as that can mean so much to a fan who paid money to see you, just that little bit of interaction. Our fans are more than just fans! 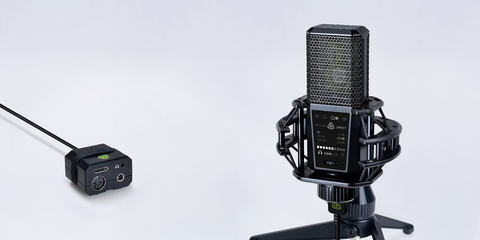 "The DGT 450 is easy to hook up to make high-quality recordings with!" LEWITT met Josh Lovelace from the band Need to Breathe on their Tour de Compadres, and we talked with him about the tour and his mobile recording setup.